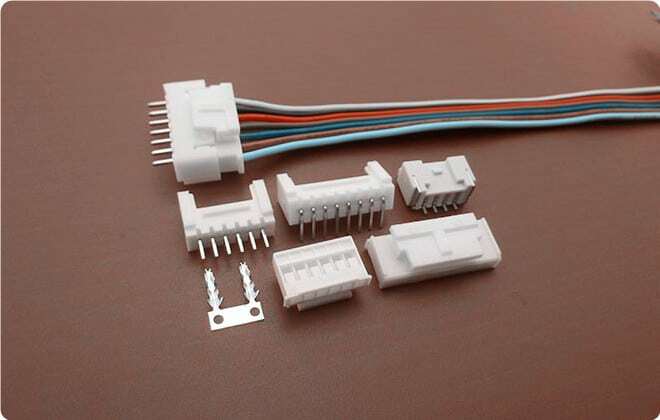 2mm wire to board connectors is widely used in many fields, like consumer, Data and communication application. 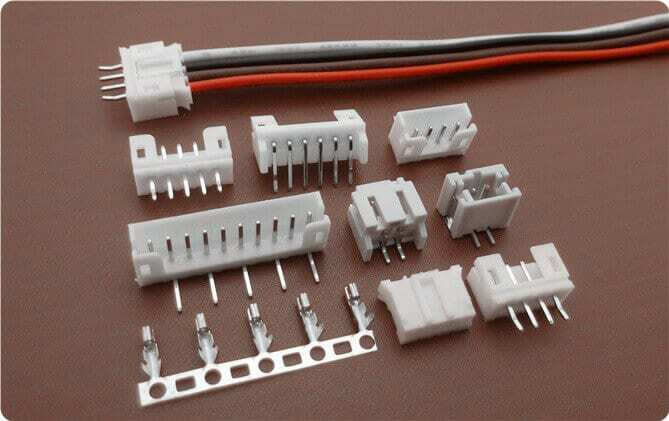 JST PH 2mm connector & Molex MicroBlade connector are popular. Yeonho 2mm connector with lock device, JAE IL-S connector is widely used in the battery. The compact 2.0 Pitch Scondar connectors is based on a 0.079” pitch and is rated for 250VAC at up to an industry-leading 3.0A. With a 30 to 22 AWG wire size, and up to 40-positions, 2.0 pitch connector is suited for signal and low power PC board connections when space is at a premium. All of Scondar’s 2.0 pitch connectors have two levels of mechanical and electrical reliability: A friction latch prevents the plug housing and shrouded header from vibrating apart, while an optional Terminal Position Assurance (TPA) device helps assure terminal seating. 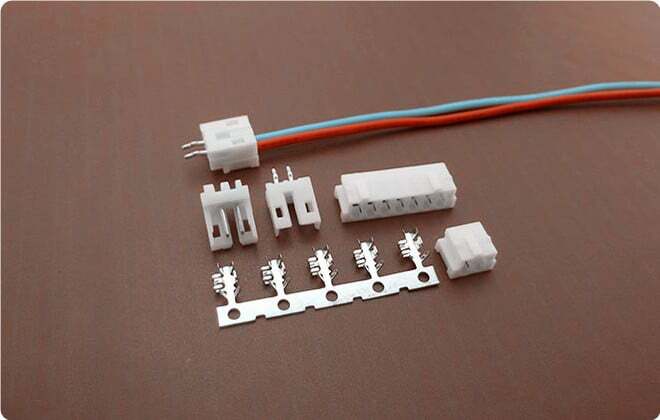 Scondar offers 2.0 pitch connectors 100% compatible with original brand, like JST PH and PHD Connector, Molex MicroBlade, JAE IL-S series, Yeonho, AMP, Hirose and Dupont DF11 connectors. MicroBlade is Molex’s leading wire-to-board and wire-to-wire 2.0mm pitch connector system providing design flexibility with multiple header options, ideal for a variety of applications across many industries, such as DVD Players/Recorders and digital cameras. Like PicoBlade, this connector has an overmolded shell feature designed for high density, high speed harness and crowded applications, withstanding higher strain and mechanical stress. 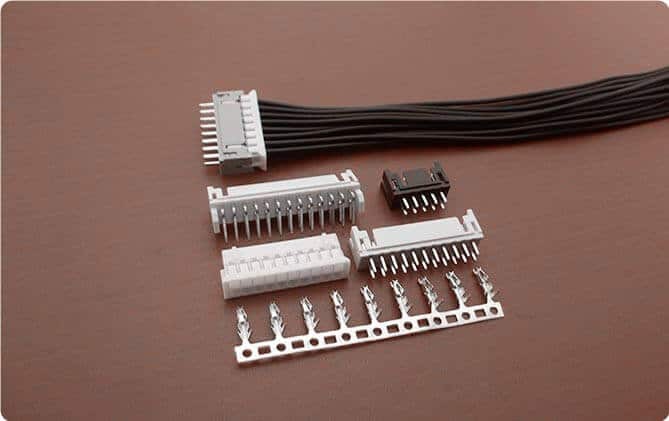 This connector has a top entry and a side entry height of 4.35mm and depth of 9.35mm, delivering 2.0A AC/DC, and is available in 2-15 circuits, accepting a range of 24 AWG to 30 AWG. It has a polarized mating feature that prevents any sort of mis-mating of harness to header. The 2.0 mm JST PH connector series is a low-profile and compact component delivering dependable service in requirements for high density connection to printed circuit boards. It is specifically designed for harsh environments which are frequently subjected to heat and vibration such as in heavy equipment vehicles and batteries. Delivering up to a current rating of 2.0 A and 250 V, it is applicable for AWG 24-28. It is enclosed in crimp-style lock and a completely polarized configuration which prevents users from inverted insertion. Top entry configuration consumes a minimum of 8 mm x 4.5 mm mounting height and width, respectively; while side entry configuration consumes a minimum of 4.8 mm x 9.6 mm mounting height and width, respectively. 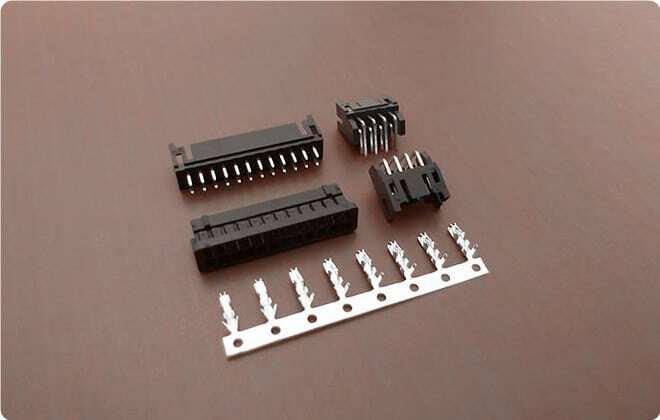 This 2.0mm pitch crimp -style, double-row wire-to-board connector is designed for high density and low-profile connection with a PCB board thickness of up to 1.6mm. The JST PHD series can deliver a higher current rating than that of the PH series, up to 3.0 A at 250 V. It is applicable for AWG 22-28. Top entry configuration consumes a minimum of 8 mm x 5mm mounting height and width, respectively; while side entry configuration consumes a minimum of 5 mm x 11.8 mm mounting height and width, respectively. 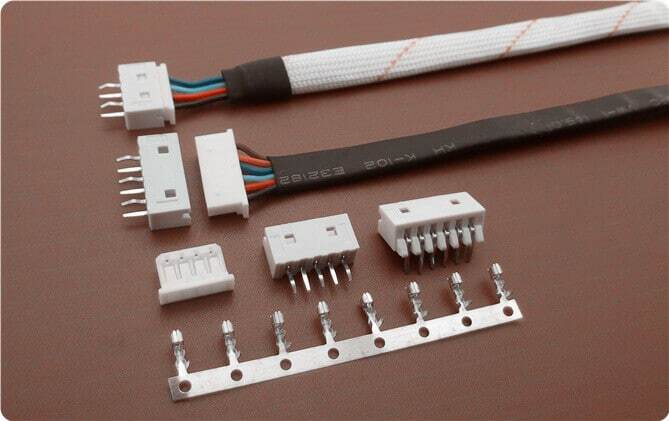 IL-S Seriies connectors are low profile connectors with crimp termination socket contacts permitting fast and simple semi-automatic termination. It has a box-type pin header which prevents mismating and a design preventing flux wicking. IL-S is also available in straight, right-angle and bottom through hole types with top entry width of 4.6mm and height of 7.5mm and a side entry width of 9.2mm and height of 4.6mm. 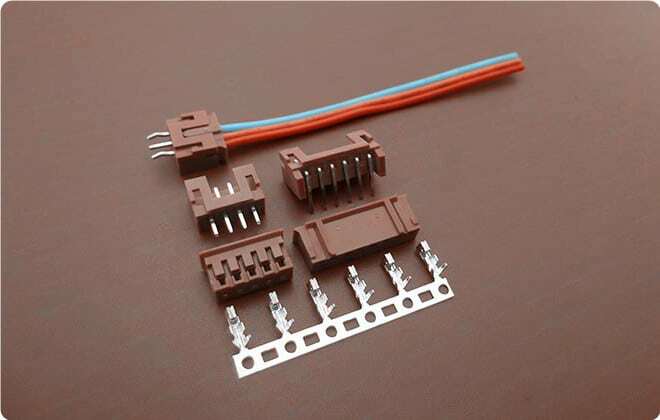 Number of contacts ranges from 2 to 15 delivering a current rating of 3Amps per contact with an operating voltage of 300 VAC, 400VDC for AWG #22 to #28 for a maximum PCB thickness of 1.6mm with a temperature range of -40 deg C to 85 deg C.
This low-profile connector with polarized design and crimp-style is SMT compatible, rated at 3.0A AC/DC, 250 volts and can accommodate 24-30 AWG. The contacts are tin-plated phosphor bronze providing reliability in signal transmission. Its components such as the housing and header are molded in a 94V- 0 PBT and is also ideal for rugged electronics devices, sustaining environmental stresses, complying with RoHS standards. The series has an operating temperature range of -25 C to +85 C including temperature rise when applying an electrical current. It is offered in 2-16 positions. Furthermore, the series is supported with termination tooling. TE AMP 2.0 pitch connector is offered with either shrouded or unshrouded headers in surface mount and through-hole configurations. This connector is available in single or double row configurations with .025" square posts and a current rating of 3 amps max per contact. TE AMP can accommodate a variety of high density packaging applications in right-angle wire-to-board applications. The 2.0mm pitch allows efficient use of the PCB area. 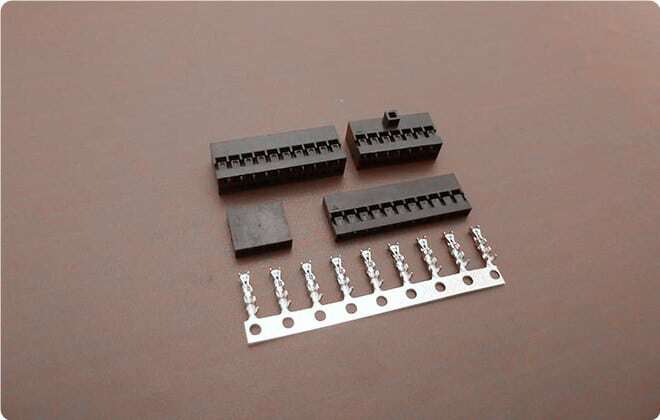 Mechanical support of the headers to the PC board is provided by non-protrusive metallic hold downs designed for 1.6mm PCB. Metallic tabs are present on the surfaces for support. This connector is present in 2-16 positions with headers featuring polarization to help prevent misalignment during mating. DF11 is a space-saving, dual row 2mm pitch contact condensing to about 5mm connector width. It can perform the same realization of signals as compared with a conventional single-row contact. This type of series connector is available for insulation displacement and crimping methods. Applicable wires are from AWG #22 to #30 with a surface mounting (SMT) header that is specifically designed to prevent solder peeling through its durable metal fitting. When using the automatic insulation displacement, the multi-harness can be easily connected, reducing man-hour and eliminating manual labor process. Hirose DF11 can deliver a current rating up to 2.0A at 250V AC/DC. Dupont 2.0mm pitch series is low-profile connector available in a single-row or dual-row configuration and designed for wire-to-board cable applications with high-density contact spacing SMT. A friction lock housing enables secure connections. This series delivers a current rating of 2A, 250 VAC/VDC for a maximum PCB thickness of 1.6mm and for wire gauge AWG #24 to AWG #30. Scondar manufactures the housing from Nylon 66, which is a material highly used when high mechanical strength, rigidity, stability is needed under varying temperature changes. That is why all Scondar connectors can withstand a wide temperature range from between -25 deg C to 85 deg C.
Scondar’s connector terminals are made of tin-plated, phosphor bronze. The terminals have a thickness range of 0.12mm-0.15mm depending on the 2.0mm connector type and standard reels are 20,000 pieces per reel. For 2.0mm connectors, wire gauges that can be accommodated with the rated current and voltage is between AWG #22-30. The following table represents the specs of these wire gauges.